A short sale might attract you with in such a way that you may think that it is a very good deal. Dc Fawcett said that, it becomes essential to be cognizant of the unforeseen expenses that will follow after making the purchase. Lenders are plagued by the foreclosed properties and it is learnt that they are finding it a bit simpler to handle short sale offers. 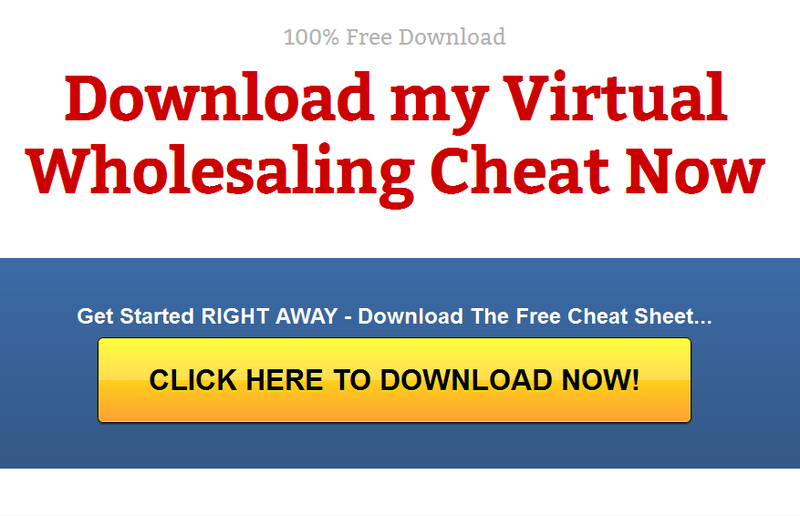 At what instance does this sale become successful? There will not be any foreclosed homes in the process. 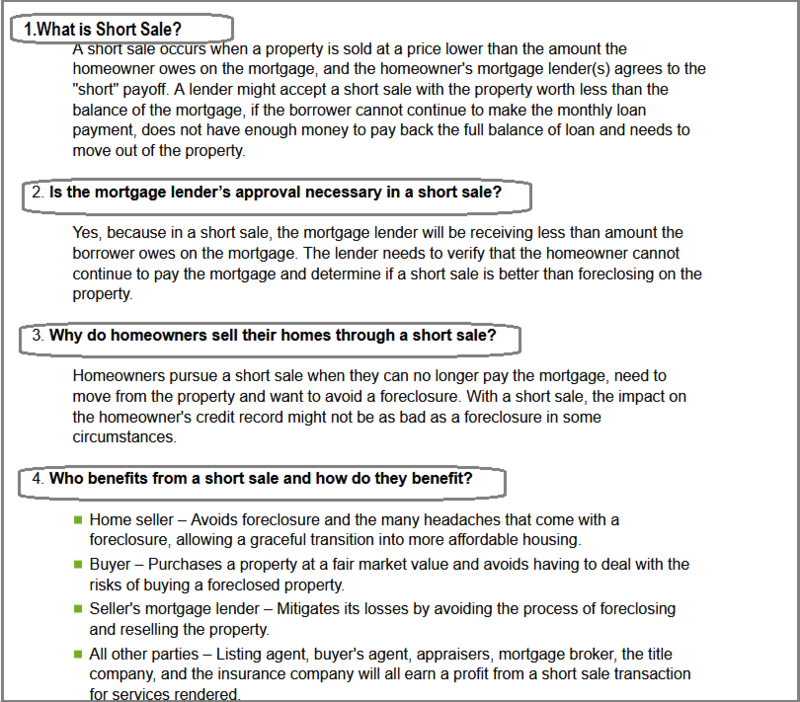 Well, let’s first look at what is a short sale. Here the property owner (who is financially unstable) sells off the property at a price that is lower than the sum owned. Here then, the lender will not be provided with the entire amount. When does this sort of sale occur? It happens when the value of the property sees a decline. Having said that, the lender should give a nod to this process. As for the seller the short sales will probably have a negative impact on his credit. It can even be the case that you will leave your property without even getting a single money. This in turn puts you in a situation wherein you cannot find another residing place. The buyer is offered with the property at a lesser value. However, the house has its share of issues. The lender will be faced with a financial loss. Well, you should be cognizant of what you are heading prior to purchasing such a property. This also applies to foreclosure property. 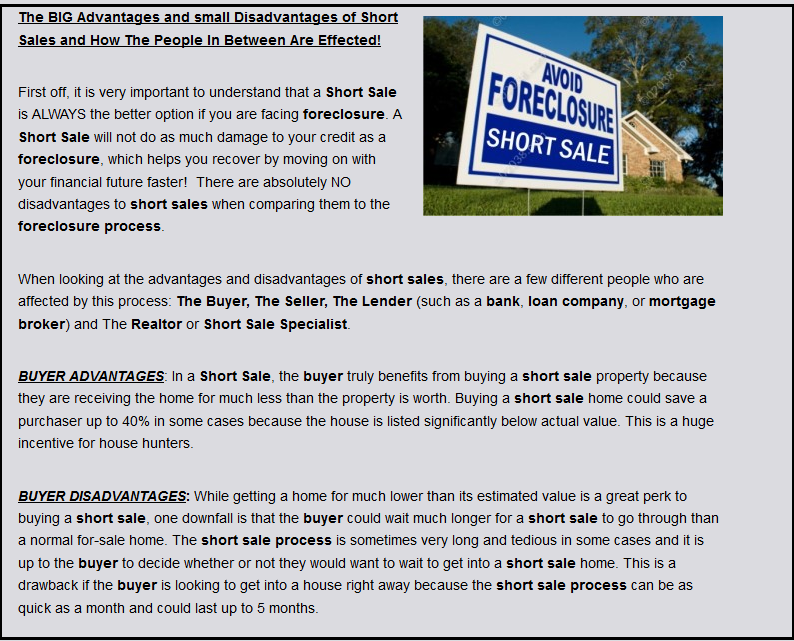 Now let’s look at some of the prevalent mistakes with regard to short sale or foreclosed property. Never ever miss out on the home inspection process. You can also get a repair estimate when an inspector finds an issue. There may be termites, damage in the foundation etc, for which you can get the help of an expert inspector. It’s wise to seek the services of an inspector who is well-versed in the home inspection process. To be precise, when you are on the verge of buying a foreclosed home or a short sale property never let go off the inspection period that is provided for you. Don’t discard legal details. Generally, a disclosure statement would give information whether the property faced any unwanted condition. Typically, bank – owned houses sell of the properties in its present condition without considering disclosure; the buyers are put in a situation wherein they need to carry out more research on the property’s condition. 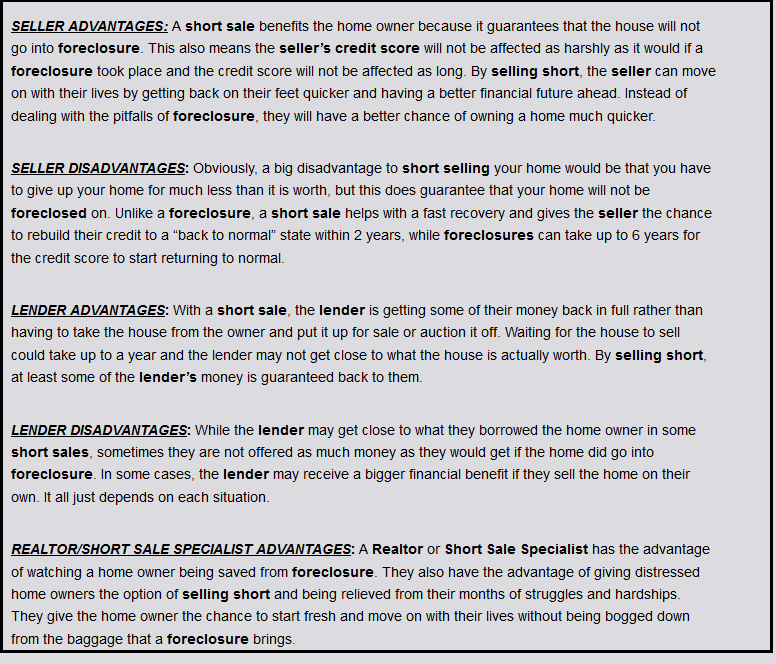 One may be confused with a short sale and a traditional sale. As in the former case, it won’t come to an end as fast as a traditional sale. The lender of the prospective short seller must give a nod for a short sale price that is lower than the sum that the specific seller owes. It’s always advisable to take into account the home inspector’s suggestion and his final report before arriving at a conclusion. Several things can be regarded as fraudulent acts on a short sale. Having said that, when these sales are done in the appropriate manner they can be a profitable deal. Everyone should be aware of what is going on in the process. Well, when fraud crops up in short sales? A seller or buyer will attempt to make the lien holder to get less money than they are supposed to get. This happens when someone does not reveal details.and be cautious of the foreclosure scams. There is always a favorable approach for flipping in the real estate market and this condition applies to the short sale as well. As a result, people are attracted towards it considering it is a very good deal. However, there is no denial, about the unforeseen expenses that will follow after making the purchase, but with a strategical approach, you can be sure of making it the right way which is explained in this piece of writing. Before getting to see about the strategies involved in short selling, let us settle on the misconception of security short sale and real estate short sale. 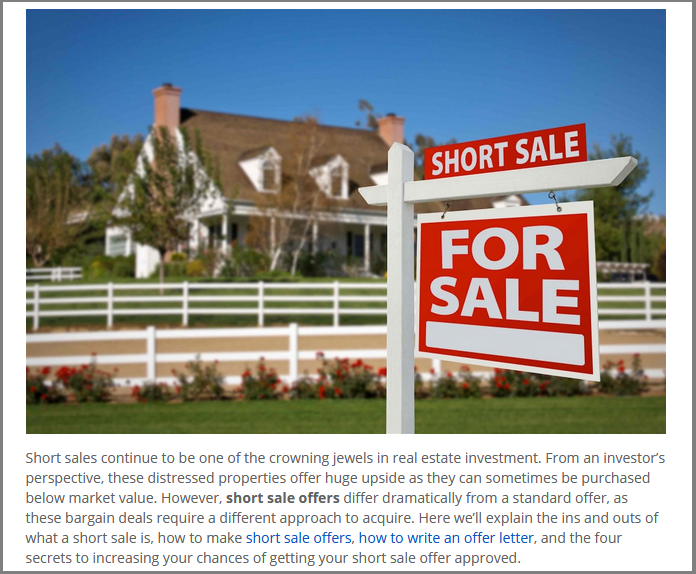 A short sale is a business deal in which a depositor sells borrowed securities with an expectation of a price turn down and is essential to return the same amount of shares at a particular point of time in the future. As a short seller, you are said to make huge returns if the price of the stock goes down, even as a lengthy situation makes money when the stock goes up. On the other hand, a short sale in real estate means making an attempt to sell a house for a smaller amount than the mortgage payable with the lender’s endorsement. It starts out with the submission of financial package to the lender, where the borrower has the responsibility of proving his/her financial constraint which should include statements of finance, a note unfolding the hardship of the seller together with the certain endorsing records like tax returns, W-2s, payroll stubs and bank statements. Depending on the type of bank, it can take several weeks to months, and the decision can go either way, it might be an approval or they can deny it based on that particular bank’s rules and regulations. With that said, the offer might be rejected if the bank feels that it can make more returns through foreclosure proceedings. Just because the seller is satisfied with your price it doesn’t mean that the bank can agree to the price quoted. 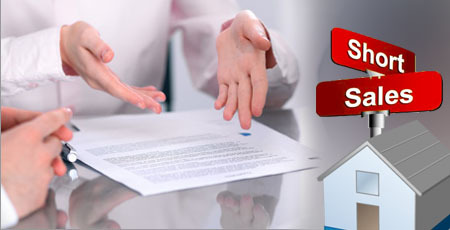 As soon as the offer is accepted by the seller from a potential buyer, a listing agreement is sent to the lender by the listing agent, a detailed purchase offer is made upon the preapproval of the buyer’s letter and a copy of the money check together with the merchant’s short sale package. Upon submitting everything clearly, there will be no chaos, but in the absence of any document or a filing error, there will be a delay in the process. Deciding on the property-Not all short sale properties are listed by the real estate agents, in that case, you need to find them and decide on the right property that will be bringing you returns. Apart from finding properties with real estate agents, you need to search for the listings on local websites providing information on the short sale and you can also go with Multiple Listing Service. Some are simple and straightforward, while others are not like that, hence you will have to look out for signs of it, for instance, you need to look out for words like “subject to bank approval” or “give the bank time to respond” which states short sales. If you still find it difficult to spot out, then the services of an experienced real estate professional can make a world of difference in your short sale. Helping you find such properties, they will also be of help in closing the deal. However, you should look out for such loyal agents, apart from specializing in short sales; they will also have a certification which is offered by the National Association of Realtors. When you bring into play the services of such certified people, there are chances for things to fall in place. With focused teaching in short sales and foreclosures, SFR certification holders are well aware of finding out qualifying sellers for short sales, negotiating with lenders, and protecting buyers. Depending upon certain cases, this might differ, either way; you should scrutinize any potential real estate agents to make certain their short sale expertise works for you. The biggest advantage of short sale property is that it provides an opportunity to purchase a house for less money. There are several cases to which we can relate this to, short sale homes are in a levelheaded state, and as the acquisition cost might not be less than a foreclosure, the expenditures involved in making the home saleable can be much lower even after including the expenses related to repairs and renovations. However, the waiting period is quite lengthier because of the so many processes involved in it. When you consider the services of a qualified real estate expert, you can settle on a fair offer and negotiate with the bank representatives. Although a lot of investors acquire short sale properties and market them quickly in expectation of some amount of profit, a whole lot of others tend to hold the property to enjoy ownership and gain money through renting them. Having said that, it is imperative to review each property and evaluate them before purchase so as to find out if it has the profit potential. To figure out what’s working best in today’s real estate market is one of the most important things. If you wanted to invest in real estate but perplexed on making decisions, take the guidance of DC Fawcett, a real estate connoisseur who has mastered the art of wholesaling, rehabbing, and cash flow investing in virtual markets. Assisting people throughout the course of their real estate journey, he will help you become skilled at investing concepts and guide you how to grow through his proprietary Dc Fawcett Virtual Real Estate Investing systems. A short sale is a sale in which the proceeds obtained from the sale is less than the balance owed on the mortgage covering the sale. 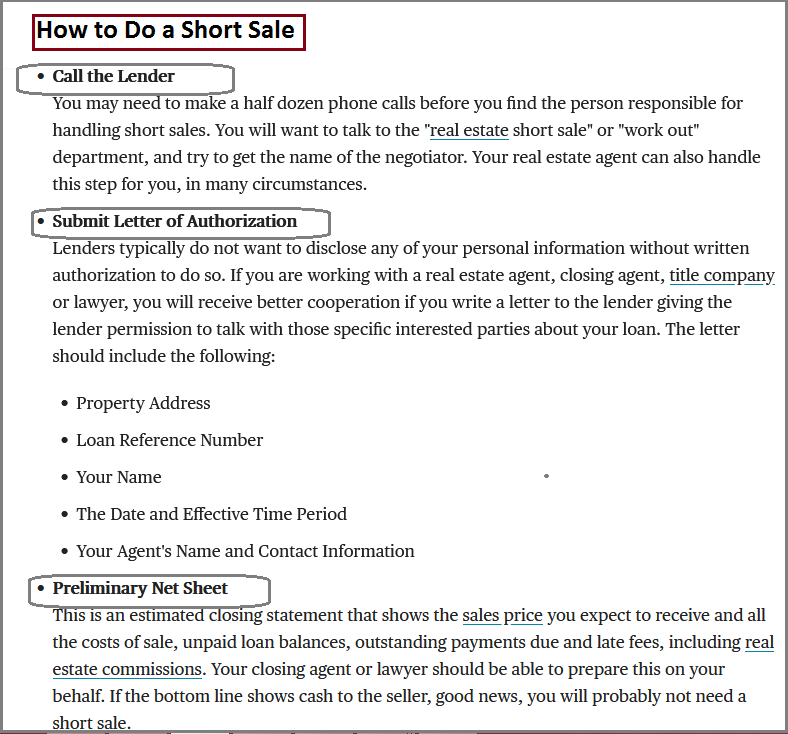 DC Fawcett reviews the 3 most common short sale scams. This is a short sale scam committed by junior lenders, sellers, real estate agents and short sale negotiators. Primary lenders approve the short sales but they place a limit on the amounts received by the junior lenders. This leaves them dissatisfied and unhappy. In turn, they ask the sellers to pay them amounts off the settlement clause. Sellers end up paying these undisclosed payments. When they do this, they are subject to short sale frauds. How do they know if the money lenders would have approved of the short sales if they had known about the undisclosed payment? In flopping scams, the tricksters are the buyers of the properties. They show the properties as worth very less to the lenders. Offers to buy at higher rates are hidden from the lenders, as they would approve those prices instead. So, the lenders approve the short sales at lower prices instead. Then tricksters contact other bona- -fide buyers and arrange the properties to be sold at high prices. They ensure that the transactions close at the same time as the short sales and keep the differential amounts with them. 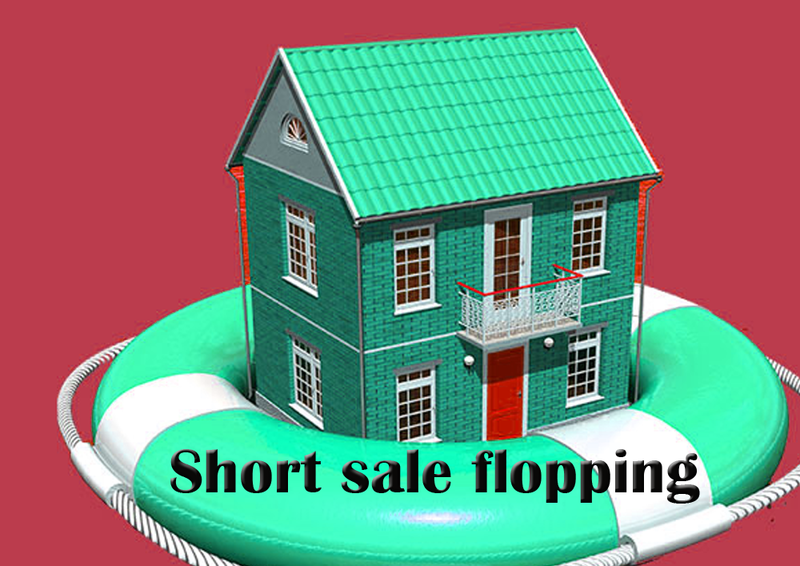 Short sale flopping affect the sellers because they are held responsible for the shortages in the amounts. Even if they are forgiven for the shortages, they cannot escape taxes on the insufficient amounts. Some fraudsters call themselves as short sale negotiators and take advantage of the highly motivated sellers and buyers. They collect upfront fees from sellers and offer to provide services for short sales. They do nothing in return. When sellers hire short sale negotiators, they should contact the agency of the state to check if negotiators should be licensed. If they should be, then they have to verify whether they are. So, sellers should read documents carefully or they can take the help of an attorney or housing agency to do so. Authentic and successful real estate agents can help. There was the housing bubble a couple of years back. As a result, many of the investors lost their investment money. Many felt that real estate is some scary prospect and hesitated to put money into the real estate. As luck would have it, there were low prices and surprisingly lower interest rates. So, going by the saying ‘Make hay while the Sun shines’, this is the suitable time to put investment in the real estate. It is not the only criterion to be considered, but economy has had a boost. This means that the price amounts and interest rates have already started to go for a steep hike. And there is nothing to stop the growing trend. The financial crisis that happened of late created many chances for those who have affordability to invest in the real estate. The large amount of foreclosures that occurred recently created a larger amount of pool for the renters. 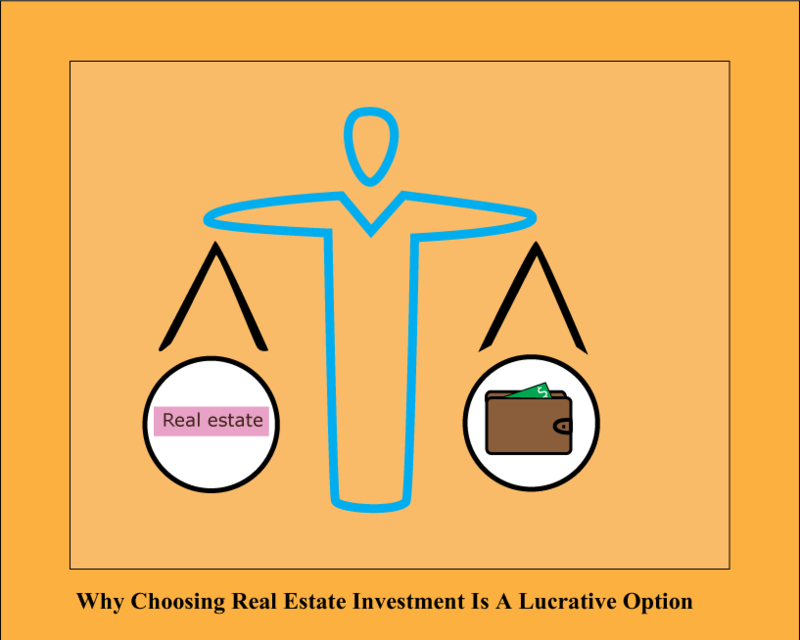 This means that rental properties are the best viable investment. It should be easier to get people to rent the property. This is due to the fact that many people are getting jobs, and disposing properties for a huge profit should become more viable. The increase in profits may not be as high as the increase in rates, but the number of chances to have a huge profit will be huge in the future. The question that you should ask yourself is that whether the short sale will be favorable for you. The fact is that you will be offered with the house for a considerable discount. The lender may also be all set to prolong the process with the idea of getting the entire amount. In this regard, the lender will also try to offer good financing terms. This type of sale differs from foreclosure in the sense that the seller (who plays a pivotal role in the process) will not be dislodged from the property when the property is possessed. If you are selling or purchasing a short sale investment ensure that you get the services of a well-versed short sale agent. Also be double sure that you adhere to the lien holder’s rules. Besides, trying to play with the values will only land you in trouble. 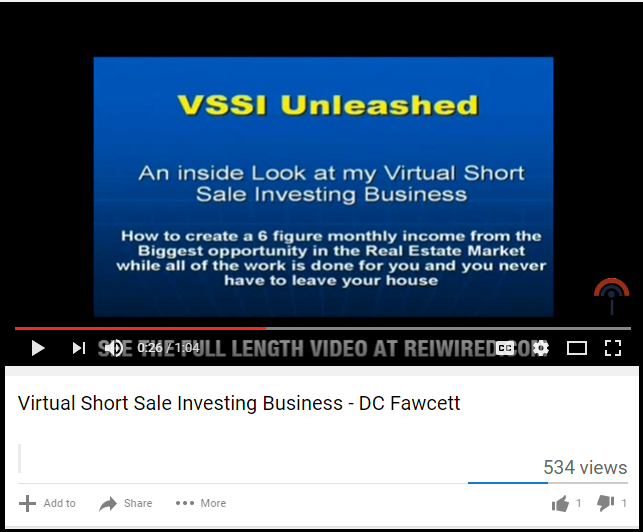 DC Fawcett is well-equipped in Virtual Real Estate Investing. He is adept at rehabbing, wholesaling etc. in virtual markets where he does not reside. He also provides free Virtual Real Estate advice that is written on his blogs. 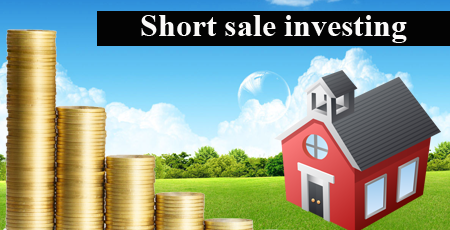 One can also know about short sale investing through his blogs. DC Fawcett Real Estate, DC Fawcett tips Dc Fawcett Real Estate Strategies, Dc Fawcett Real estate tips. permalink. Your tips are nourished and explanatory enough to arose the sleeping giant in every realtors.Good of you. Thanks for sharing such a useful information. its really helpful for the new investors. I found this list very informative.